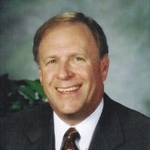 Terry Looper is founder and CEO of Texon LP, a 22-year-old Houston energy company with $6 billion in revenues for 2010. Texon recently sold its crude oil division, but still gathers and sells natural gas and natural gas liquids from U.S. producers. Terry is currently serving on numerous boards including Houston Christian Foundation, Haddington Energy Partners and is current chair of Camp Eagle Board. His past board affiliations include Young Life National Board, as well as the board of Young Life’s Greater Houston Area. Looper was also a trustee of The Houston Christian High School. Terry graduated from Lamar University with a B.S. in Engineering.